March is the one month that all horseracing lovers look forward to and it's simply because the Cheltenham Festival roars into life yet again. We are just a few weeks away from the Festival, but the hype has already reached dizzy heights from all over the world. From the first day to the last, there will be some interesting highlight races most punters are looking forward to. As such, we share with you some festival tips on which horses we think are the main action to finish in the revered first positions. The highlight race of Day 1 is the National Hunt Steeple Chase Challenge Cup. The biggest draw to this event is that it is considered an unpredictable and tough one; featuring amateur riders and novice chasers. Therefore, historical data does not really come in handy during the race. Nonetheless, over the years the race has provided great entertainment and the same is expected this year. This year’s National Hunt is slightly different from previous races in that it features one jockey who had remarkable success over the past 3 years. Gordon Elliot won two of the last three National Hunt races and features again for the fourth time. This year, he will ride Sutton Place. Sutton finished 2017 strongly winning his last five races in a row and with Gordon Elliot, he comes with a tried and tested jockey as the favourite before the race. 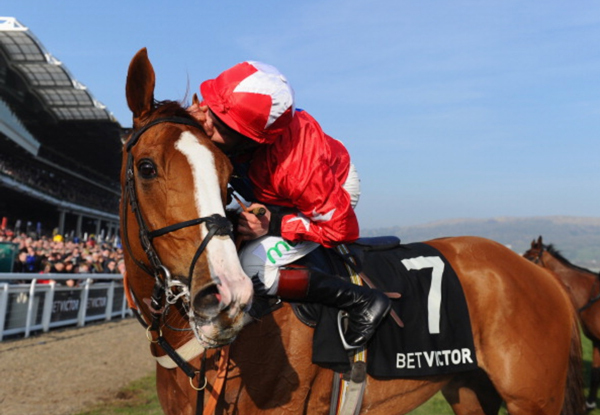 The Queen Mother Champion Chase is one of the most anticipated races of the Festival. Its popularity is evidenced by the fact that race bets are placed as early as the early to mid-December when the Ladbrokes Winter Carnival closes. There are two headliners for this event this year, Altior and Douvan. Both of them have not entered into any race this year, but will go into the Festival in good shape. Douvan injured himself in this same race last year at the Festival, only returning to action towards the end of the year. He did put in a great shift while Altior swept almost everything in front of him capping it off by winning impressively the Arkle. The rivalry between these two will be one to watch. On the opening race on Day 3, the JLT Novices Chase is the one to look out for. The race is in some sorts is similar to the National Hunt in that it features novice chasers, is relatively longer (though shorter in comparison to the National Hunt) and traditionally features amateur riders. However, even though dominated by first-timers, it provides top-class entertainment. The favourite for the race is Benatar boasting a flawless record to date with 3 wins in 3 races. Going into the Festival, Benatar looks to maintain his record along with Gary Moore; a jockey who has what it takes to succeed at the highest level. The Gold Cup is the biggest of all races and all eyes will be focused on this year's event. As the norm, classy lists of horses look forward to winning the prestigious Timico Gold Cup and last year’s winner Sizing John is this year’s hot favourite. After scooping the big prize last year, Sizing John has all the right moves where he managed to finish in the ‘Show’ places in all of his races. The momentum is definitely on Sizing John’s side, but he faces some stiff competition from Native River, Might Bite, and Djakadam.